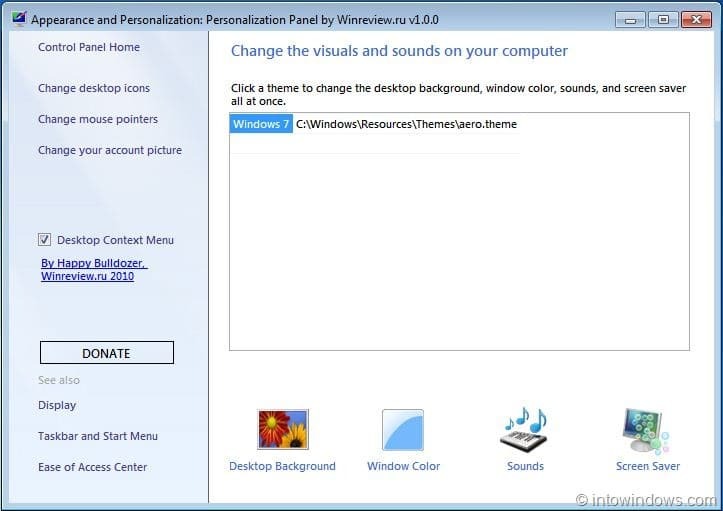 Users who have been using Windows 7 Starter or Home Basic edition for a while now probably have noticed that these editions come only with basic personalization features. In other words, unlike Home Premium, Professional, Enterprise, and Ultimate editions the Home Basic & Starter editions don’t come with Personalization panel. In fact, you can’t even find the Personalize option in the desktop context menu. 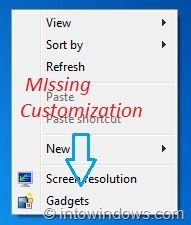 So, you are missing one of the best features of Windows 7. Worry not! We have a workaround to get this feature in Home Basic and Home Premium editions. 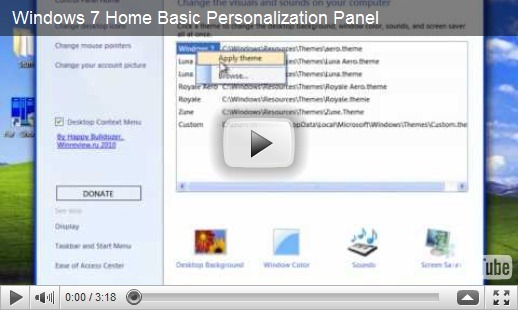 Personalization Panel is a small tool specially made for Home Basic and Home Premium editions of Windows 7 to use the premium features in basic editions. # Gives you access to Change mouse pointers, Change desktop icons, Display, Ease of Access Center, Taskbar and Start Menu properties, Sounds, Screen savers, and Change your account picture options. Note: You need to have installed UXStyle Core before using this tool. So that’s why the personalization panel missing. Thanks for the help! pls microsoft should stop producing windows 7 starter and laptop manufacturers should not install it on their products because it absolutely useless. I still can’t set my wallpaper where all my pictures are like a slide show, what must i do? you dont need to install this tool, there is a simpler way in win7 HB, right click on desktop and scroll to view and then uncheck show “desktop icon”. your desktop will be clear, but if you want to clear only the selected one, then you may need this tool. I have updated the download page link with the new download link. Please click on the download link given at the end of the article to visit the Personalization Panel download page. Hi Meenal This Is Safe . 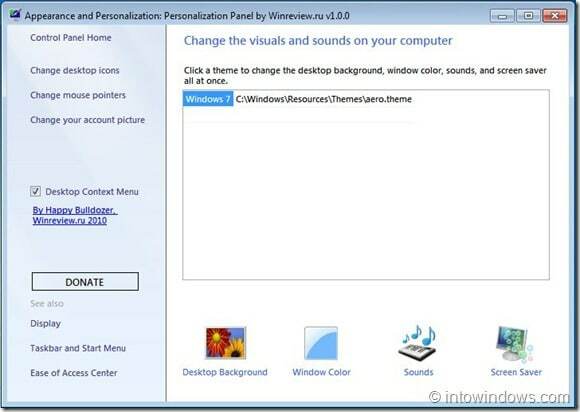 And Plz Give Me Your Email Id Just mail me ..
And Pulkit To Download The Personalization Panel For Windows 7 Starter And Home Basic Editions You Have To Click on download Page Which is Given Below. Yes, it’s pretty much safe. 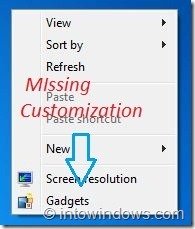 Create a system restore point to avoid any issues. is this for free? where is the download button?